Re: Official what White/Yellow are you drinking right now? teaformeplease wrote: I had some of Adagio's Hunan Gold today and I'm a fan. It's a lot like Teavana's Golden Dragon, which was also a pretty nice yellow tea. Anyone else ever have this one before? I have had Adagio's Hunan Gold a few times. I like it and consider this black tea. Also, I think the quality of Adagio's Hunan black teas is high. A friend of mine always has at least 2 of Adagio's Hunan teas on hand. I drink with her twice a year and have liked all of them. Perhaps a chatter who knows about yellow tea will offer a definition. I think golden color is not the determining characteristic. ethan wrote: Perhaps a chatter who knows about yellow tea will offer a definition. I think golden color is not the determining characteristic. No idea if that's the whole story, I've never seen them being made and didn't have too many of them so far. The one organic type I have laying around here is pretty decent and sits somewhere between a Dian Hong and some bready oolong taste wise with an intensely golden-yellow soup and strong notes of dark chocolate; nothing I'd drink on a warmer day though - YMMV. The leaves are treated more like a green tea except they undergo an extra step. Depending on the region the leaves are either piled, wrapped in cloth, or packed into a box. That can be repeated several times before the leaves are dried to remove any excess moisture. This processing causes a small amount of oxidation (which is why the taste is different from white tea) but it isn't fully oxidized by any means. Haven't drank a Jasmine tea or Yin Zhen in ages and while I wouldn't like to drink either type of tea every day I don't think there are significantly better Jasmine flavored teas out there. Really enjoyable once in a while, even with some food or chocolate on the side. 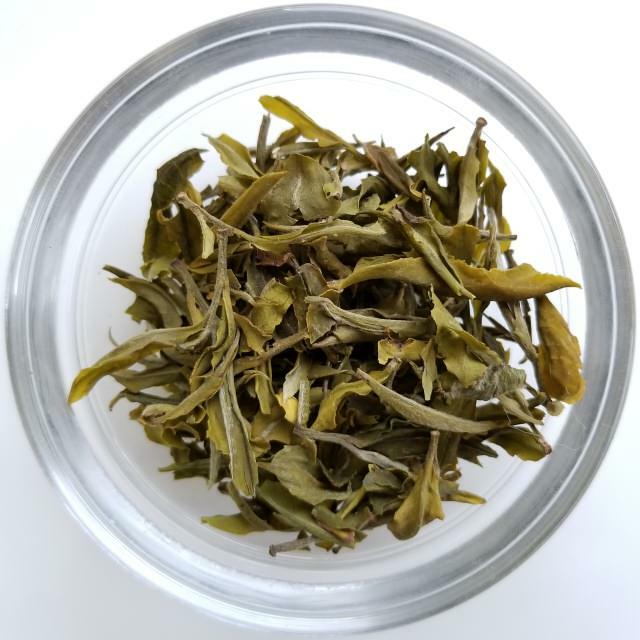 It is very hot in July here, a cup of white tea is the most suitable in the monning, 5 grams of silver needle, which was made with the bud of BaiHao trees located in Fuding Fujian and should be picked up before April 5th, drink with clean sweet , not strong soup. I drank an interesting white tea over the weekend I first tried last month that I never mentioned here, a "wild" tea from the North of Thailand (feral at best). There are old Assamica plants up there from a tea tradition that goes way, way back, possibly even further than 1000 years (and of course claims about 1000 year old trees come up eventually). Per my understanding the Sukhothai empire in Thailand, established in 1200-something (although I should check that; my memory isn't what it was), was originated by immigrants from what is now Yunnan, so surely the tradition is that old. There is a sweet fruit element, along the line of dried peach. And it's a bit creamy, actually tasting a little like cream. The fruitiness extends a little towards blueberry, or maybe raspberry instead. It's not distinct enough that it comes across as those separate elements, just in that range. There is a mild earthiness and dryness too, underlying that, and a trace of an unusual flavor, hard to isolate. Forest floor is a more pronounced part of that, fall leaves, and a bit of mineral, and an unusual light earthy tone. It's like the wood scent of a stump, not decaying wood as in a peat or mulch scent, but with an aged effect. It all does work but it's different. It helps that I've been on shou mei cakes for awhile. They're not the same but the general range is common. John's vivid review is hard to follow, but these are worth mentioning! Cupped the first two of seven white Darjeelings from Vahdam today. 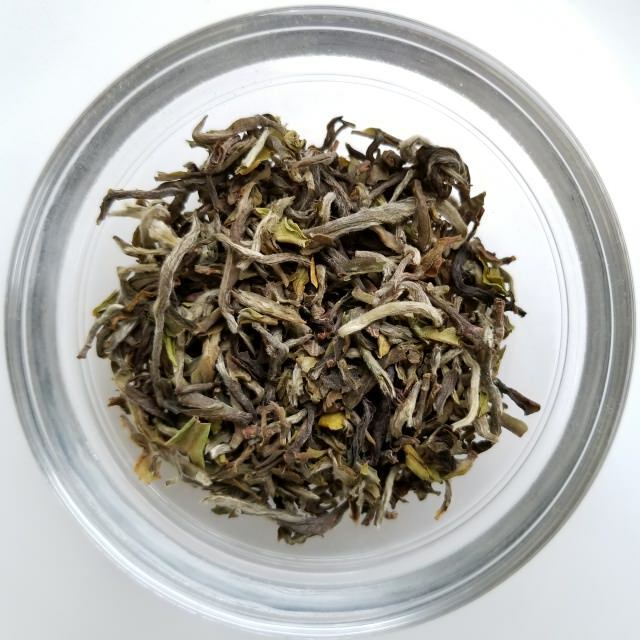 Arya Pearl White Darjeeling, Organic First Flush 2017: Light, refined, a bit reminiscent of both Long Jing and Yin Zhen. Distinct Darjeeling notes, but quite more subtle than a usual "black" first flush. Beautiful leaf appearance. Avongrove Emperor White Darjeeling, Organic First Flush 2017: Excellent, succulent and mouthwatering. Wet leaf has a wonderful aroma. A bit more like a standard first flush Darj than the Arya was, but still tastes like a white tea rather than "black" first flush. A bit like a Darjeeling version of an excellent Bai Mudan. I'm excited to taste the other five. Also, some other interesting finds- a Green first flush Darj, a gorgeous looking Oolong Assam and a Green Assam. More to follow. For a few days, I've been enjoying 5-color white tea from Monsoon Tea of Chiangmai, Thailand. Its flavors present themselves softly and slowly, mostly as aftertaste but are definitely there and pleasing. It's so light in body that one should be devoted to the drinking, and the attention paid to the tea is worth it; since it is surprisingly satisfying. Junshan buds from 2010, i can confirm it's not for aging. Invited by a tea mate to have some wild silver needles from Yunnan, sourced locally. Very impressed. Sweet, delicate, calming, nothing overwhelming like the puerhs I drink daily. Good to have a change especially in this year's fiery bird. Trying to find something similar but online...I can forget about it! Not sure I'm doing this right on either count (forum or brewing method). I had some 2011 Fuding Shou Mei White Tea Cake this morning. Got it as a sample from Teavivre. I brewed up 5g in 12oz water at 203°F, per Teavivre's instructions for Western style brewing (can't do gongfu, sorry). One instruction they didn't offer was whether or not I should have rinsed the leaves with the first 12oz. of water. Should I have? I ask because the brew was rather bitter—not at all what you'd expect from something that's supposed to be a decent-quality white tea. Anything else I may have done wrong? I've tried to get the variables right, using a digital thermometer and a calibrated gram scale with a tare function. Any advice to give me a good starting point would be seriously appreciated. I've been on a major aged white tea kick lately. Well just white tea in general. Today I brewed a 2014 flower fragrance (花香) baimudan. The flowery notes have died down a bit and it had more sweet, honey notes and a thick soup. Delicious! Later I had a 2012 lower grade baimudan. The lower grade was definitely clear, hardly any buds. Yet the brew was delicious. Got about 10 steeps out of it and retained the thick, sweet, creamy mouth feel I've come to love about aged whites. Both of the above were brewed in a modern zhuni pot, 160 mL. Finally I brewed a sample of silver needle tea that I had forgot about. Probably nearly 2 years old at this point, but it brewed up beautifully in a porcelain gaiwan. The soup was much a much darker, honey color than a fresh silver needle and lost most of its grassy, fresh taste in favor of honey notes. I'm glad I forgot about it! ljfnord wrote: Not sure I'm doing this right on either count (forum or brewing method). I had some 2011 Fuding Shou Mei White Tea Cake this morning. Got it as a sample from Teavivre. I brewed up 5g in 12oz water at 203°F, per Teavivre's instructions for Western style brewing (can't do gongfu, sorry). I think I should have rinsed the tea with the first boiling water. The second brew was significantly better. Light, slightly sweet, and not overcooked. Very nice. For white my go to is Wild Bai Mu Dan 2017 and for yellow my go to is Huang Ya 2016 - both bought from Tea Drunk in NYC. They are both easily two of my favorite teas.